John acquired a BComm and LLB from NUIG and qualified as a Solicitor in 2003. John advises on a wide array of legal areas, including residential and commercial conveyancing, banking security and enforcement, landlord and tenant, employment law and personal injury. John holds Law Society Diplomas in Corporate Law and Governance, Commercial Conveyancing, Insolvency and Corporate Restructuring. He also holds a certificate in Personal Insolvency. John is married with 4 young children and when not ferrying them between GAA, tennis and Irish dancing classes at weekends, he enjoys running and triathlon and is an experienced endurance athlete, having completed a number of marathons and ironman triathlons including the Dublin Marathon and the fabled Ironman Lanzarote, which is regard as one of the toughest endurance races on the planet. Simon acquired a BA and LLB from NUIG and thereafter qualified as a Solicitor in 2003. Simon has vast experience in private practice across a wide variety of practice areas including property, litigation / personal injuries, family law and wills / probate. As part of his continual practice development Simon obtained Diplomas from the Law Society in Property Tax and Corporate Law and Governance. 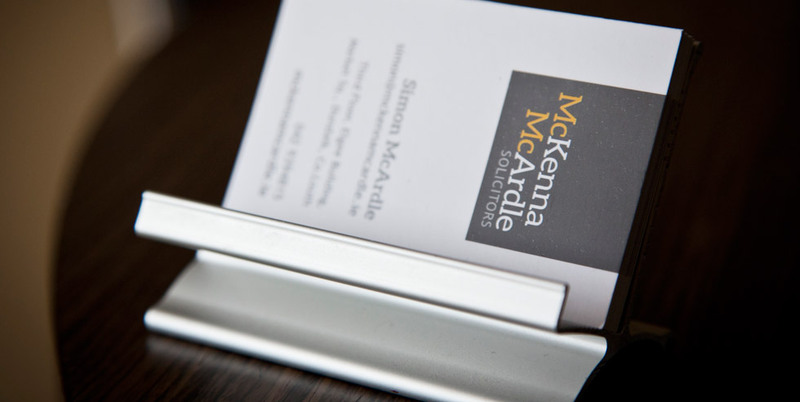 In addition to thriving private practice Simon has acted as solicitor for one of the pillar banks in commercial transactions for the past 10 years. Simon was invited by the Law Society of Ireland to speak at its Skillnet North East CPD Day in association with Monaghan, Cavan, Drogheda and Louth Solicitors’ Bar Associations. Aoife is originally from Dunleer, County Louth. She acquired a BCL from University College Dublin graduating with a First Class Honours and qualified as a solicitor in 2011. 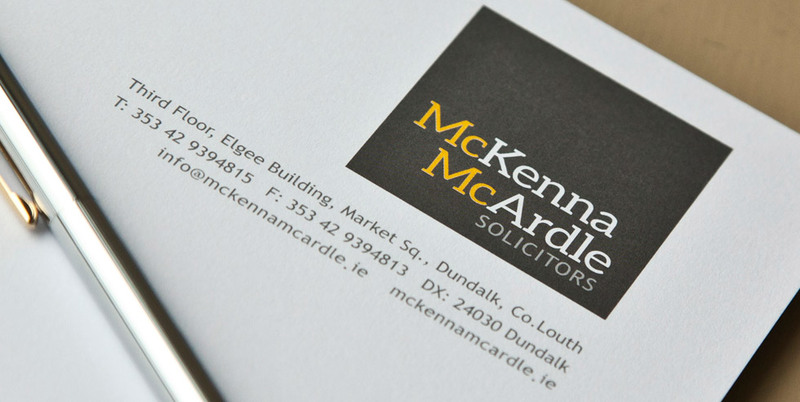 Aoife worked with McDonough and Breen Solicitors and was a key member of their property department up until joining McKenna McArdle in 2018. Aoife advises on all aspects and areas of property law, including residential, commercial conveyancing and landlord and tenant law. In particular, Aoife has gained broad experience in the area of advising residential developers, having acted for some of the largest developers in the north east region. 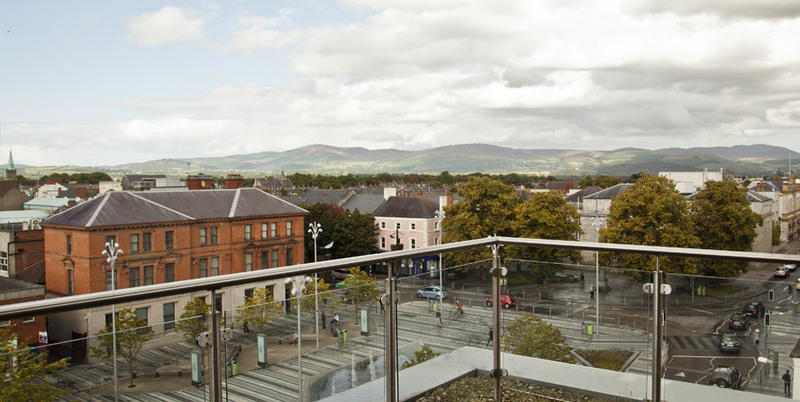 Aoife can offer clear and concise advise to residential developers from the initial site acquisition / development stage right through to the sale of the completed units. By working collaboratively and efficiently with the developer client, Aoife’s input will help streamline the residential sale process for both the client and the purchaser of the new housing unit.